My daughter was so proud of herself to see what she can do for these new pets and they loved it! 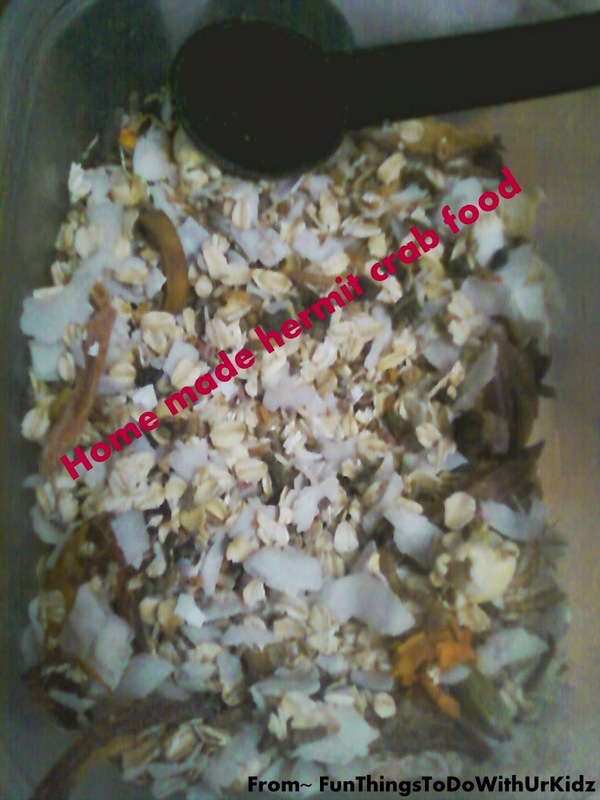 This activity was for hermit crabs but you can always look up and make some home made recipes for any animal! Lastly remember hermit crabs are not a starter pet, they like many pets take a lot of care.